We all know how much cleansing is important for achieving and/or maintaining the healthy and beautiful skin. This is something I keep repeating to myself everytime I’m feeling lasy at night before going to bed and when I’m thinking about going to sleep without removing the make up. Although it is a big NO for skincareenthousiac like me, I have to admit that it does happen from time to time (I know, I know what you are thinking right now). And exactly because of this, beside my morning and my evening cleansing routines, I introduced the 3rd cleansing routine: a lasy one. As you can imagine, my lasy cleansing routine doesn’t have many steps: it consists of removing the eye make up with the eye & lip make up remover, cleansing with the micellar water, water splash and then I go straight to bed. 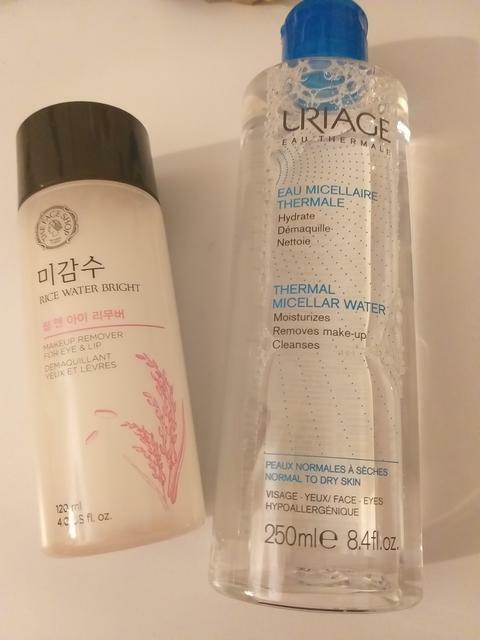 I’m not a big fan of micellar waters, but I always have one bottle in my beauty stash or at least one travel size bottle in my travel beauty bag. I emptied lately Labiotte Micellar water and I wrote about it in my last Empties post. 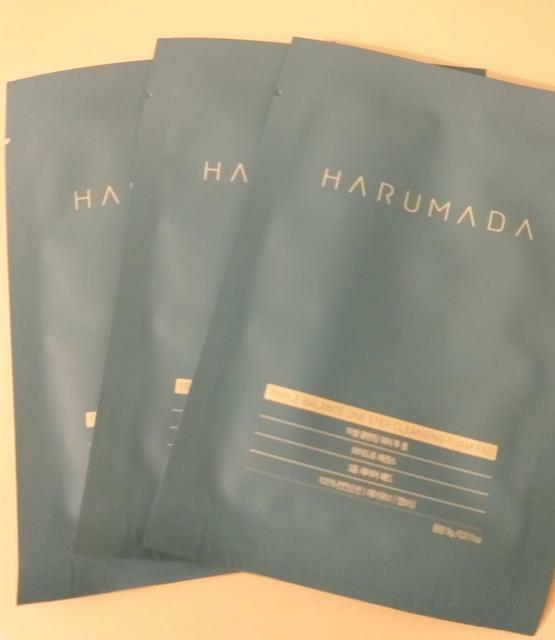 My newest addition to a lasy cleansing routine are Harumada Triple balance one step cleansing foam pads. I bought a 10-pcs pack and I have already used few of them. These are quite nice cleansing pads which remove well the make up. However, I cannot use it on my eyes since it got to my eyes and it burnt terribly. The pads are packed like the sheet mask and inside you can find the product that has the same shape as Neogen peeling pads, but a bit bigger than Neogen. One side is embossed and used first to spread the cleanser and the other one is smooth and when you apply it, the cleanser foams, but not much. It removes the make up completely and when I wash it off, it leaves the face clean and smooth. It can replace both of cleansing steps. These pads are also very travel friendly and besides my lasy routine, I will use them for travels. Besides my lasy cleansing routine which is simple, my morning cleansing routine also tends to be equally simple. Either I do just a water splash and dry my face or I have 1-step cleansing routine. This depends on 2 things: how my skin looks in the morning and how many layers I put the night before. Although my skin is not greasy, sometimes I wake up with greasy and shiny traces, but not shiny in a good and healthy way. And this happens usually around my nose area (not my complete T zone, it’s rather I zone 😁). In this case, I follow 1-step cleansing routine and for that purposes, I use my 2nd cleanser from the night routine. For the moment, I rotate two of them: Tosowoong enzyme powder wash and CNP Laboratories Perfect barrier cera cleanser. I really like both of them. However, since they both have some grains inside, I’m a little bit worried that I do not overexfoliate my skin, even though both cleansers are very mild. That’s why I’m actually thinking about introducing a new cleanser: my 3rd 2nd cleanser. It sounds funny! Few words about each of my 2nd cleansers. 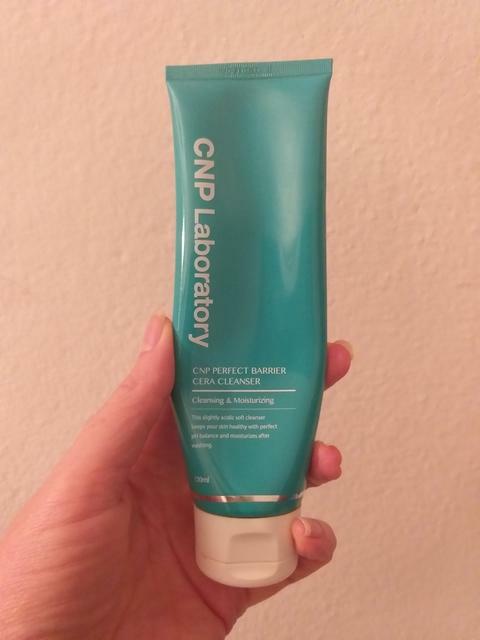 CNP Laboratories Perfect barrier cera cleanser is my latest discovery. I really like it. It is mild, effective, little goes a long way, I only need a pea size of it to clean thouroughly the face. It foams nicely, but not too much, cleans very well the skin without stripping it. As I said, it has some small grains inside, which worried me at first, but I see now after almost 2 months of using it, that it’s quite fine. 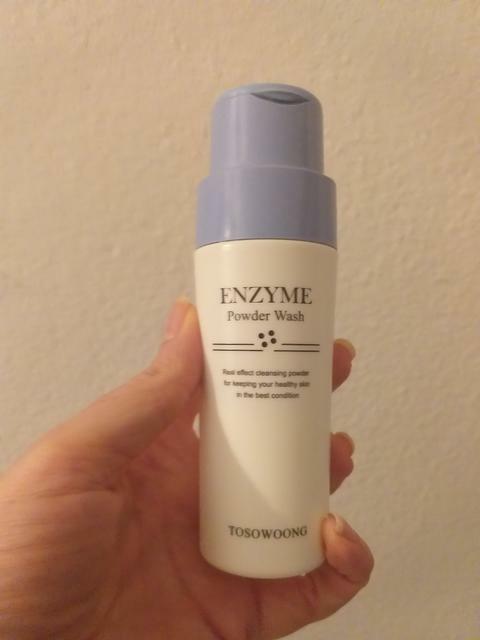 The other cleanser / peeling I use is Tosowoong enzyme powder. Again the little goes a long way, but it might take you a while to find a perfect quantity to use. You can melt it completely or leave the grains partially, it’s up to you. I usually melt it completely and use it as a cleanser. Even when I leave some grains, it is not a harsh peeling. It foams nicely and cleans nicely. I use it once or twice a week. And we come now to my evening cleansing routine. 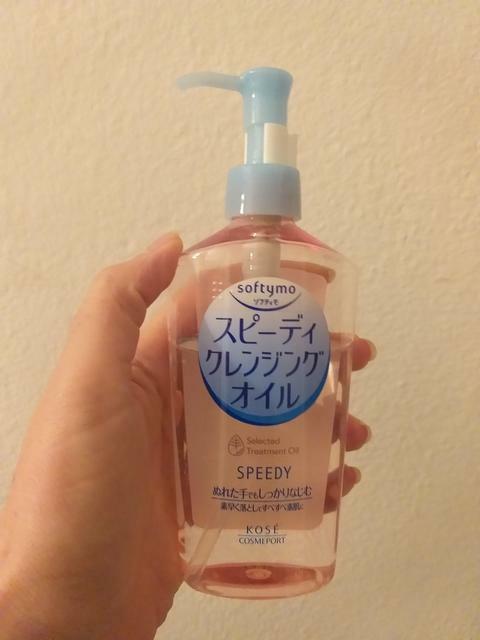 As a first cleanser, I’m currently using Kose Softymo oil. It is such a nice cleansing oil. I need only 1 pump to clean well the face. When I add the water, the oil emulsifies nicely, it is washed off easily and it doesn’t leave any oily residu. And it smells nice. And the bottle will last forever and the price is really friendly. Combined with the 2nd cleansers I already mentioned above, it gives me a perfectly cleansed, balanced skin. Before Kose oil, I had Hanyul Pure Artemisia cleansing oil. I wrote about it in my last empties post. It is a great oil, that I highly recommend also. In the beginning of my Asian beauty path, I tried also some cleansing balms, but for some reasons it’s not my cup of tea. I tried of course Banila Co and Heimish. They both clean well and thouroughly, but I prefer Banila due to the nice scent. For the moment, I have few travel size cleansing balms of high end brands (Eve Lom, Emma Hardie) and I will try them and write few words for sure. Till next time, stay healthy and beautiful. Next Post The newest additions to my little stash: what did I buy lately?